Within the last 2 decades the transition in livestock production technology and intensity has resulted in an increase in annual livestock production and a drastic decrease in the number of livestock operations. Consequently, the susceptibility of current livestock operations to experience manure spills is far greater relative to livestock farms 20 years ago, due to increased herd size per farm. Therefore, manure spills in agricultural communities have become a pervasive issue and have led to the catastrophic contributions of nutrients and pathogens to surface and groundwaters, human health issues, and large fish kills. Furthermore, the current remediation methods for manure spills that reach surface waters focus on mitigating contaminants in the water column and give no attention to the manure-exposed ditch sediments that remain in the fluvial system and continue to impair the water column. 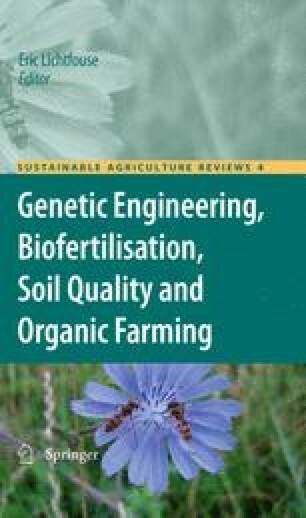 Therefore, this chapter addresses the causes, environmental impacts, and current and alternative remediation methods for manure spills in agricultural streams. Geographic data suggest that the location of animal-feeding operations and the occurrence of manure spills were highly correlated with the location of tile-drained agriculture fields. In addition, at least 14% of reported manure spills were separately attributed to the failure in waste storage equipment and over-application of manure in the states of Iowa and Ontario, Canada. Evaluations of the downstream impacts of manure spills have reported ammonia, total phosphorus, and total N concentrations that were at least 28 times the average upstream concentrations before the spill occurred. Studies have also determined that the current manure spill remediation method results in soluble phosphorus and nitrogen concentrations significantly greater than the Environmental Protection Agency total phosphorus nutrient critical limit, 24 h after the plume of the spill has passed. However, supplemental treatment of manure exposed sediments resulted in at least a 50% decrease in the soluble phosphorus concentrations which was in compliance with the phosphorus nutrient criteria.